It's National Taco Day! Some Mexican restaurants are offering great deals for the unofficial holiday. Here's a roundup of where you can satisfy your hankering for some tacos. WASHINGTON — It’s not taco Tuesday but if you’re craving some, Thursday is your lucky day. 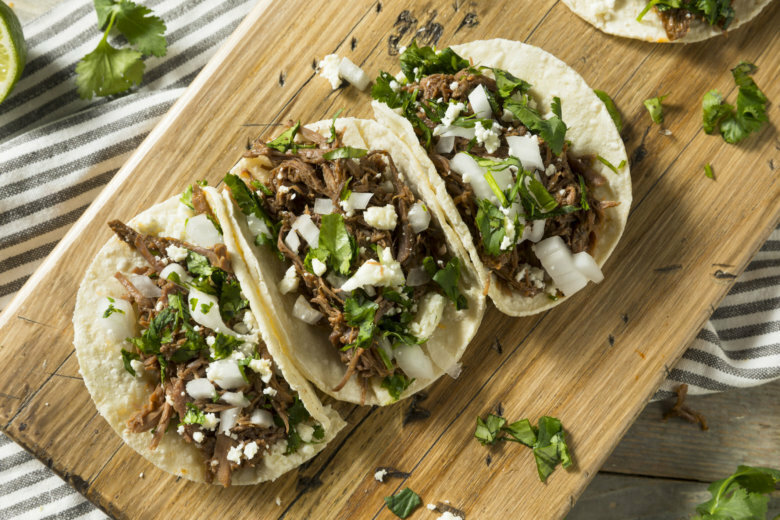 Some Mexican restaurants are offering great deals for National Taco Day. Here’s a roundup of where you can satisfy your hankering for tacos. Moe’s Southwest Grill customers who have downloaded the Moe’s Rewards app can get a free taco with the purchase of two. Taco Bell is ringing in the unofficial holiday by offering four tacos for $5. Participating California Tortilla locations are offering a buy one taco, get one free deal. Customers are limited 10 tacos total. For those with a bigger appetite, On the Border will offer endless tacos for $8.99. Dine-in only. The Mexican food chain is also offering 15 percent off catering when using the promo code “Taco18” on orders delivered between Oct. 1 -7. Even Cold Stone Creamery is getting in the taco spirit. It’s not a deal, but the Waffle Tacos will only be available on Oct. 4.